I love all of Sarah RIchardson's design shows. She is very talented and loves good design on a budget. She also features a lot of nurseries on her show which I find very inspiring for the stage of life I am in right now. 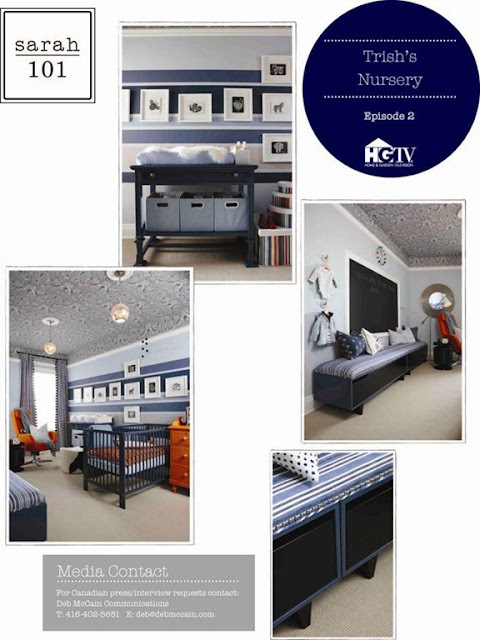 On her new show, Sarah 101 she recently showed a very modern, sophisticated, inspiring boys nursery. 1. 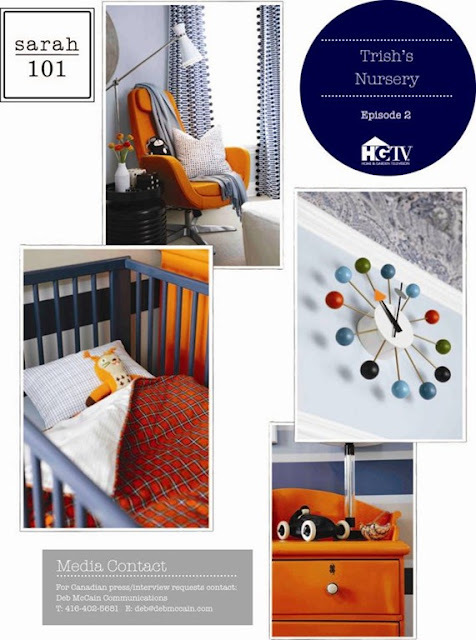 Design the room to grow with your child. Only the crib and change table are baby specific. 3. Play with pattern. She used wallpaper on the ceiling as well as 11 fabrics in the room. Check out hgtv.ca for more pictures and episodes!